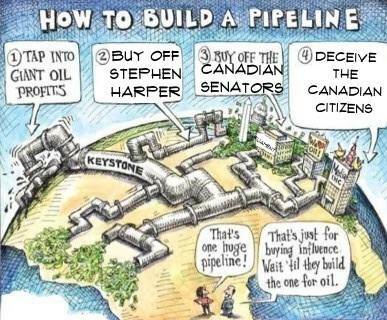 Last week I highlighted the bad logic of new oil and gas pipeline supporters. The same folks say pipelines will increase the sale price of tar sands bitumen, thus boosting oil company profits, while magically staying cheaper than market for Maritime customers. Any time bad math like this comes near public policy debate, be very skeptical. They argue we must spend billions on fossil energy because it would be expensive to build renewable energy, ignoring that billions are to be spent either way. But other circular arguments are being spun out, aimed to keep us too dizzy to demand real action on greenhouse gas reductions to protect our atmosphere and climate. See if any of these seem familiar. One is that what we do in Canada doesn’t matter, because China is building so many new coal plants. Although I still hear this one in conversations, I don’t see it quite as much in the pro-fossil media echo chamber anymore, and with good reason. China, once a rapidly-growing coal monster, has actually made serious steps to turn things around. Their rate of building new coal plants has dropped dramatically, even though they still want to expand their energy supply. This is due to a combination of tougher pollution regulations, local opposition, and rapidly increasing production of installed wind, solar and hydro. The United States has also shown significant cutbacks in coal plant starts, for similar reasons. Meanwhile, Canada’s coal regulations have been late and, when they arrive, disappointing. Every time we point a finger at China or the US, the three other fingers pointing back at us say we are losing the initiative in the lucrative clean energy market of the future. Then they say tar sands have less global warming potential than coal, so we should give them a pass. That’s like someone on a reduced-salt diet arguing that pretzels have less salt than chips, so there’s no reason not to eat even more pretzels. Real climate action means reductions on all fronts, not another round of finger-pointing. The most pernicious, though, is the “it will happen anyway” argument. The same interests who, one day, argue that we must build new pipelines connecting the tar sands to the Pacific, Maritimes, Gulf Coast or even Arctic in order to free up the “stranded oil” will, on another day, argue just as strongly that it won’t matter if we prevent a particular pipeline, because the oil will get out some other way. Well, it’s either one or the other, and in the real world, pipeline construction and tar sands expansion go hand-in-hand; neither makes sense without the other. Blocking both is necessary to shift our capital investment into a renewable future. Declaring the inevitability of tar sands expansion, pipelines or burning carbon robs us of our right to build the future we want to have. We aren’t locked into that dead-end if we don’t want to be. In fact, many are already ignoring these fossil fools and choosing to build a different, cleaner future; more on that next week. Published as my Root Issues column in the Barrie Examiner as "Pipelines, tar sands expansion go hand in hand"
The time has come for our advanced society to start depositing hydrocarbons underground. Nuclear waste take 25 years to become safe. Storage and guarding costs must be collected from today's consumers. Passing the "buck" to our future descendants is criminal.